THE Mphoko family has come under fire for allegedly hijacking the Choppies retail business and "looting" cash from the outlets countrywide without board approval. Mr Siqokoqela Mphoko, son to the country's former vice president Phelekezela Mphoko, is a director for Nanavac Investments Private Limited, a local partner for the Botswana-registered Choppies Distribution Centre (Proprietary) Limited. A shareholder in the retail business, Mr Mphoko is accused of abusing his power to "loot" cash realised from sales at different supermarkets and replacing it with transfers. Another family member identified as Ms Nomagugu Mphoko is also accused of bulldozing various shops demanding cash. The two, according to the foreign investors, are using threats of deportation on Choppies employees. The boardroom war has spilled into the High Court with Choppies seeking to bar the Mphoko family from interfering with the operations of the retail business. Choppies wants the family to be barred from taking money from the business and harassing workers. Mr Mphoko and Ms Mphoko have been listed as respondents in an urgent interdict filed at the High Court this week. Choppies accuses Mr Mphoko of being ungrateful considering that he was being paid $10 000 monthly and a dividend annually as part of their deal. He also uses a company vehicle and draws fuel from Choppies. Mr Mphoko, according to the court papers, gets school fees allowances for his children, among other benefits. A founding affidavit by Choppies chief executive Mr Ramachandran Ottapathu says the Mphoko family is on a looting spree. 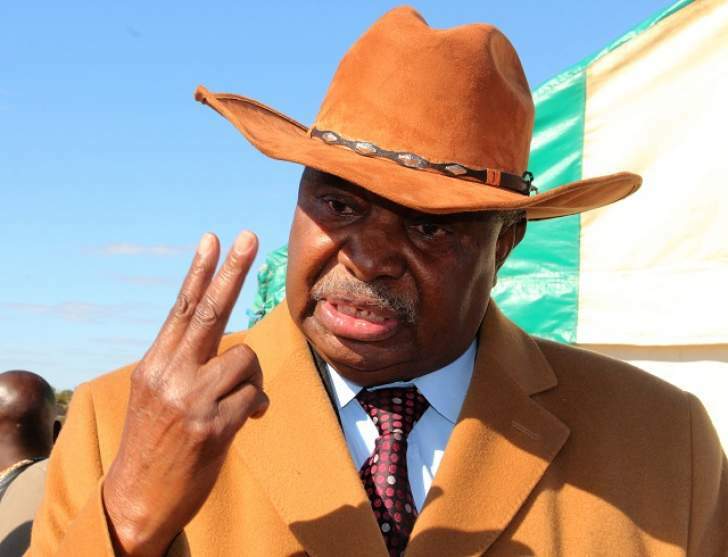 "First respondent (Mr Mphoko) has, without board authority from third respondent (Nanavac Investments), agreement with any of the applicants and without seeking their consent, demanded and looted cash from different supermarkets. He has embezzled to date the sum of $45 258. He has also extended himself unauthorised lines of credit, which have seen him misappropriating the company's stocks and fuel amounting to $6 687,06. "He has also, without authorisation, transferred $7 000 from the company for his personal use," read the affidavit. Ms Mphoko, who is not a director or employee of Choppies, is said to have demanded and collected $30 230 cash from the daily takings at various outlets in Zimbabwe. "Second respondent, who is neither an employee, member, director nor shareholder of third respondent, with apparent blessing of the first respondent, has been taking all the cash generated from the business operations of the third respondent forcibly from cashiers and swiping back at point of sale machines from her own personal account or those of her family members," read the affidavit. Any attempts by workers to deny the Mphokos access to cash, the papers read, was met with threats of deportation, physical harm and in some cases, riotous, vulgar and racist utterances. "The first and second respondents' behaviour has continued unabated leaving the company on the brink of a financial meltdown and a genuine fear and reality of a potential exodus of highly skilled expatriate staff. "The business survival is at risk and there is real fear of irreparable harm should the first and second respondents continue with their destructive behaviour unabated," the court papers read. The behaviour of the Mphokos, the court heard, was likely to strain the bilateral relations between Zimbabwe and Botswana. Choppies claims to have invested $66 million in the retail business and that it employs 1 800 people. The Mphoko family is yet to respond to the urgent chamber application.